Keen on portable QRP operation, I'd like to use digital modes which might require a laptop. While battery life is excellent with some models, I'd also like to be able to charge a laptop from my solar powered shed. Recently I purchased some voltage buck modules which can step up a voltage to a settable output controlled with a multi-turn potentiometer. There's lots of variations of these on ebay. 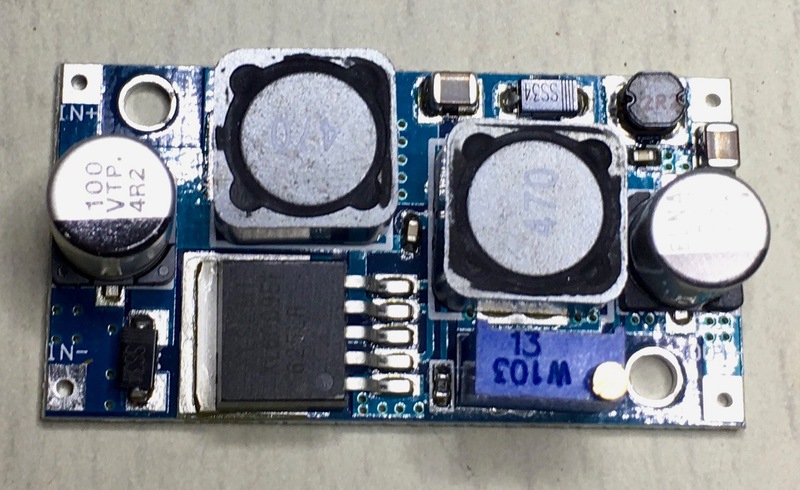 This one takes an input of 3-35V DC and turns it in to an output of 2.2-30V DC with an output current of up to 1.5A. I'm charging a little HP laptop which takes 19.5V so the converter is set to that and all boxed up nicely. (Except that I drilled the holes in the wrong places). 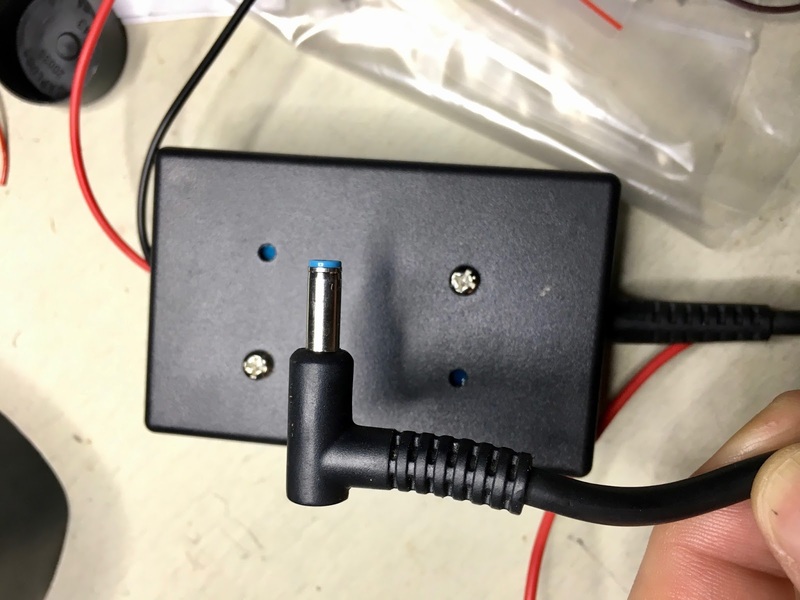 HP laptop chargers have three wires in the lead, positive, earth and ID. The ID wire (I learned thanks to commenter Brian G8OSN) needs to be pulled high for the laptop to charge the battery. I connected the middle ID wire to positive 19.5V via a 100K resister and that seems to do the trick. 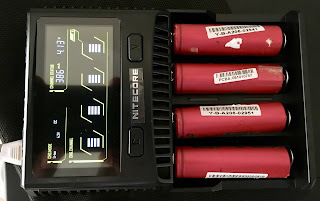 On a related topic, I'm becoming a fan of 18650 Lithium Iron batteries, not just for super bright torches and Tecsun radios, but also for powering QRP gear if powered from a set of three 3.7V cells in a little case available for under $2. These cells can be harvested from old laptop battery packs. Often when they die it's because one cell has gone bad and the others can be re-used. They don't make it easy to get them out though. This pack from an old Asus netbook has three rows of two cells in parallel. These cells have a huge capacity compared to an AA rechargeable which might be 1,200mAHr, they are often 5,000mAHr or more. Here they are in the fancy new charger that's just arrived. I see that this month's Silicon Chip has an article about these cells. I use some similar modules with various laptops in mobile (motorhome/RV) applications, including with an HP. As you surmise, HP do use the third wire - for the 'Smart Pin'. It tells the laptop it has the 'correct' charger and that it can charge the internal cells. 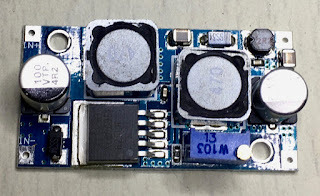 If it doesn't see the correct voltage on the pin, the 'lightning flash' over the battery symbol doesn't STAY on when external power is applied. The voltage isn't critical, I set mine with two resistors in series across the supply- 390k and 100k, 390k towards gnd., and the Smart Pin wire to the junction of the 390/100k. I've also made a lead with such a network inline so I can repurpose standard 19V laptop supplies. Thanks for that excellent information! I shall keep a close eye on the lightning bolt. Brian was right of course. Without the ID pin pulled high the laptop would run but it didn't charge the batteries. I've now added 100K to positive and it works as expected. Thanks.